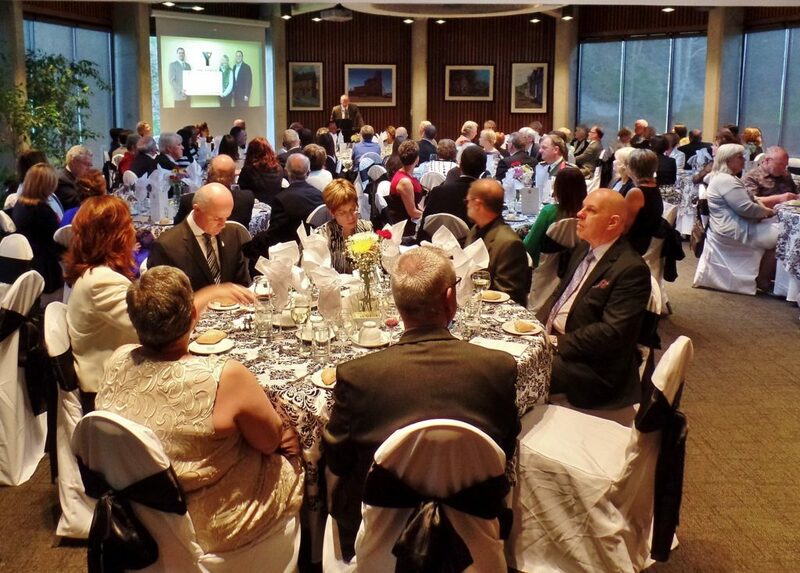 Freedom of the City of St. John’s dinners are infrequent occurrences. But then it’s not every day a Viscount Montgomery of Alamein, a John J. Murphy, or an Elinor Gill Ratcliffe come along. Getting the award and a dinner is a big deal, prompted by big deeds. Monty was a key figure in saving us from Nazi tyranny, former mayor, John Murphy, with his boundless devotion to the city, made us proud to be citizens. Elinor Gill Ratcliffe, like Paul Johnson (a recipient in 1977) donated millions to various St. John’s causes and organizations. Having been invited to attend the ceremony for former mayor John Murphy, I didn’t expect to attend another, much less the second in a row. In life you never know who you’re going to meet. I met Elinor Gill Ratcliffe five years ago. I’d always known her to be kind and generous. But until this recent dinner, I had no idea of the scope of her generosity toward St. John’s and Newfoundland and Labrador. Like most events of this kind, it began with a reception. 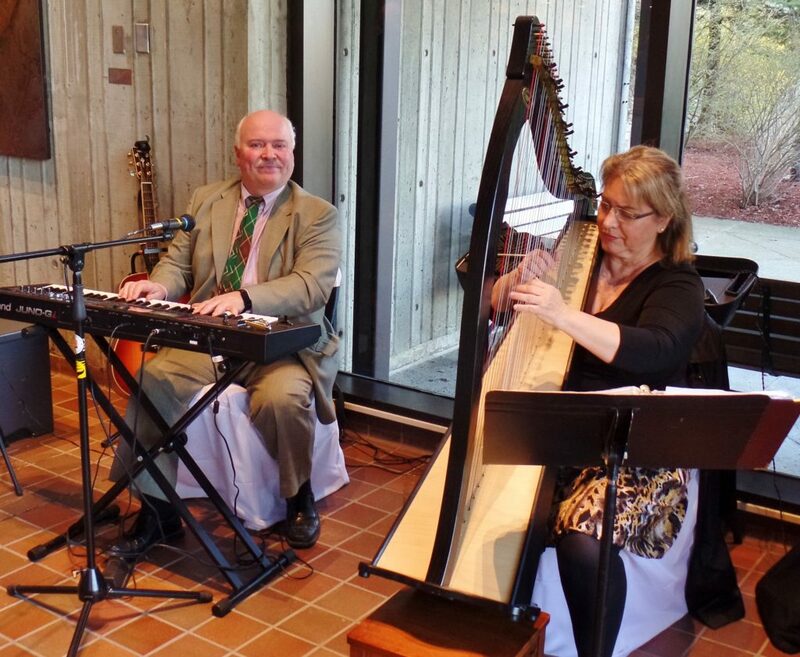 Guests were served drinks and canapés, as well as live music performed by Len Penton (keyboard) and Deborah Clarke (harp). Catering was provided by A Taste of Class Catering, which began food service by offering small sized tomato and basil bruschetta, sausage roll-ups and BBQ meatballs to be washed down with wine and other beverages. Elinor Gill Ratcliffe was raised in St. John’s in the fifties. In 1974 she moved to Ontario where she met and married Edward Ratcliffe, multi-millionaire founder of Arriscraft International, a manufacturer of thin-clad stone products for buildings. They surely must have been a striking couple. Edward Ratcliffe, who passed away in 2002, was tall, dark haired, handsome and impeccably groomed. Gill Ratcliffe once told me she had done some modelling in St. John’s in her youth. I wasn’t surprised. Still a beautiful woman with rosebud mouth, high cheekbones and dark eyes, Elinor Gill Ratcliffe is aging with grace. After drinks we were invited to dine in the Foran – Greene Room. According to its website, Taste of Class Catering offers many options for dining occasions. City organizers had chosen a three course menu that included spinach salad, stuffed chicken breast, and crème brûlée. Our spinach salad was exceptional because of its freshness. Many combinations of ingredients would have worked well in this type of salad. With the spinach, red pepper, and strawberries being exquisitely fresh, they made the starter very delicious. Mandarin sections, crumbled feta, and toasted almonds contributed their own special flavours. Mayor Dennis O’Keefe read council’s resolution to confer the honour. 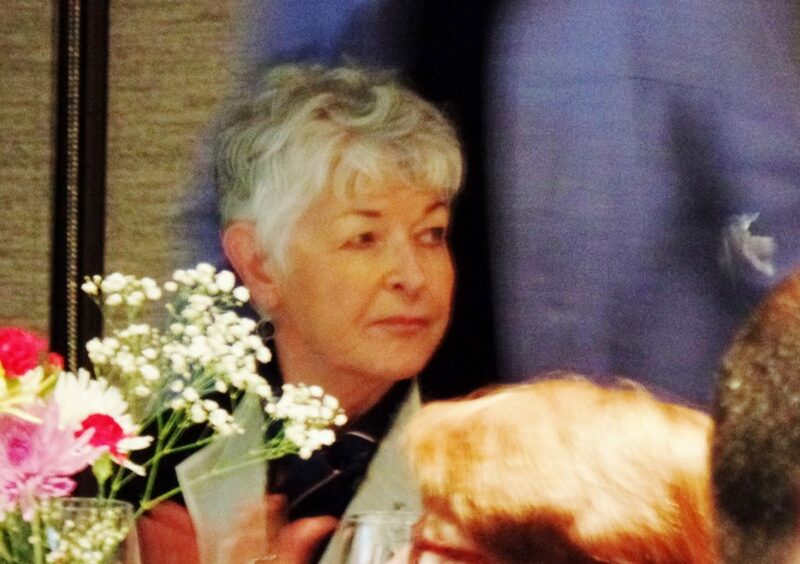 I was reminded of things I knew Elinor Gill Ratcliffe had done for the city, but there was so much more. For example, while I was aware she had contributed to the Rooms and was responsible for the Rower sculpture at Quidi Vidi Lake, I did not know she was responsible for the George Street sculpture called Time, “celebrating our designation as a Canadian cultural capital.” Nor did I know she had commissioned the Spencer Girl sculpture at Rawlins Cross. Chicken Supreme, was no doubt so named because it, like Cinderella going to the ball, was a simple joy all dressed up for a special occasion. To begin, it was stuffed with goat cheese, sun dried tomato and spinach. 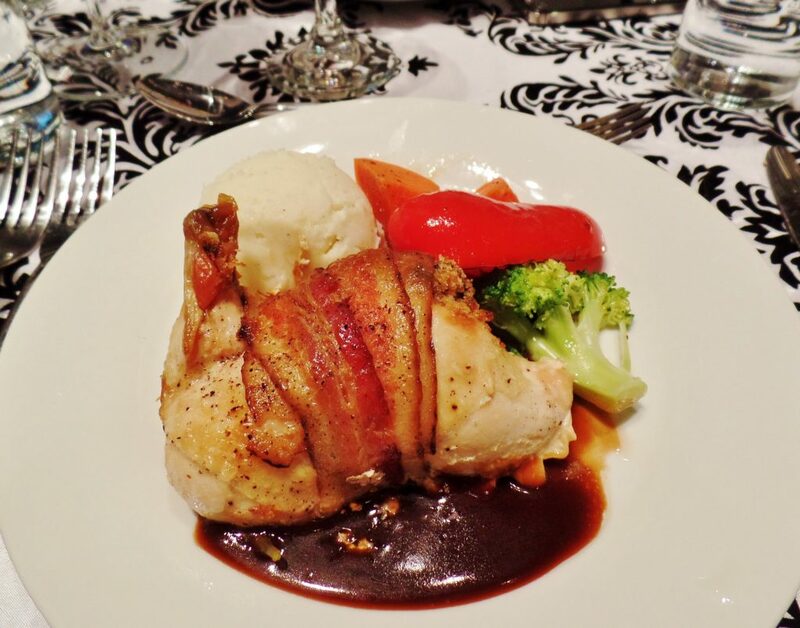 Next it was wrapped in strips of bacon, and finally, the chicken was napped with dark red wine sauce. I saw very little of this entrée left on plates, testament to its fine quality. 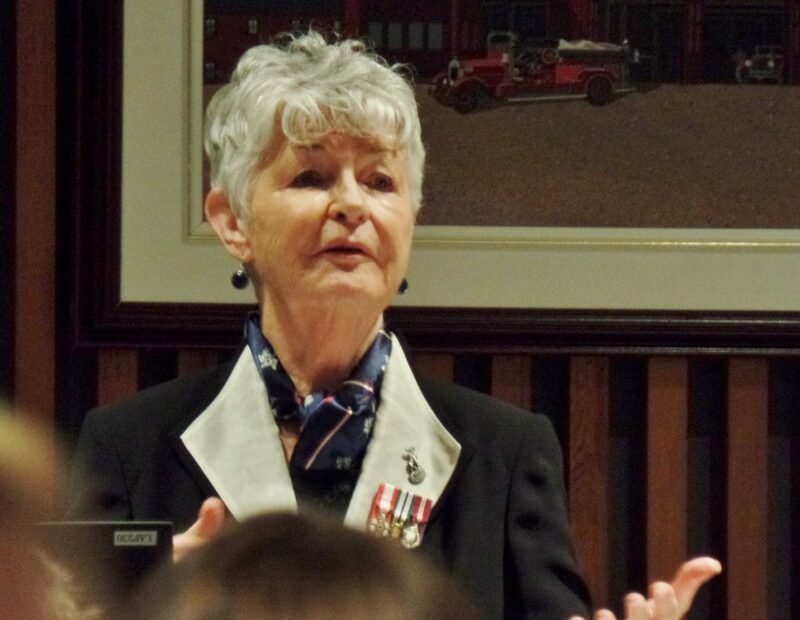 Following a generous dessert of satisfying, but not too sweet, crème brûlée (with perfectly hardened cap) and the conferring of the Freedom of the City of St. John’s, it was time for the honouree herself to speak. Much of her speech dealt with happy memories of growing up in St. John’s: being taught by British teachers at Bishop Spencer College and learning about the British Empire (of which Newfoundland was the cornerstone), doing homework in Bowring’s restaurant, dousing herself with a tester of Evening in Paris perfume in Woolworth’s, and having ice cream at the Sweet Shop or McMurdo’s Drug Store on Water Street. The most poignant and telling part of her address came when she described attending the annual July 1st. Remembrance Day ceremony at the Newfoundland War Memorial. “We’d wear our best dresses and our Forget-Me-Not pins and went to the War Memorial. We watched the WWI vets getting older and the much younger WWII vets. 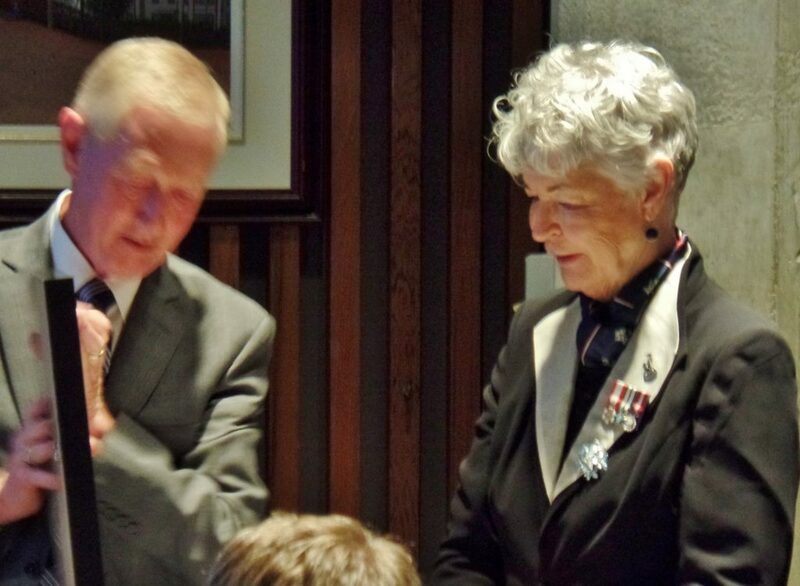 I remember I would hold my mother’s hand as she’d bow her head with a tear in her eye for her brothers lost at Passchendaele, and her cousin at Beaumont Hamel.” Council’s resolution stated that Elinor Gill Ratcliffe’s “kindness to the Royal Newfoundland Regiment goes deep.” We now have a better understanding of why. She closed her remarks by reciting the translation of a favourite Chinese poem on unity, which I thought effectively summed up her feelings about community and why she is so devoted to this community in particular. Lest anyone think that Ed Ratcliffe wasn’t as devoted a philanthropist, Gill Ratcliffe once told me that one of his favourite lines was “Coffins don’t come with pockets.” It’s regrettable that he didn’t live to share in the much deserved recognition of their philanthropy. That would have made Elinor Gill Ratcliffe very happy indeed. 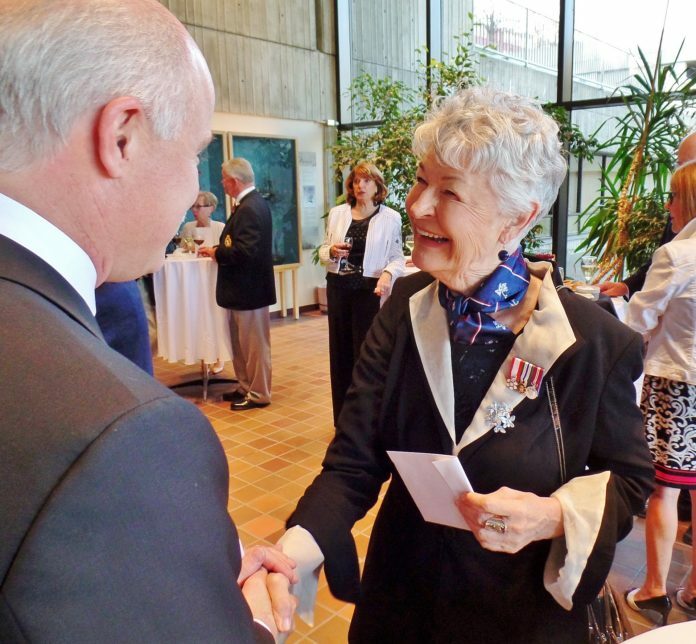 “Your well known devotion to the City of St. John’s has tangibly improved the lives of the residents, and your dedication to philanthropy, including both humanitarian and cultural contributions, will enrich the experience of St. John’s for generations to come.” Amen to that.